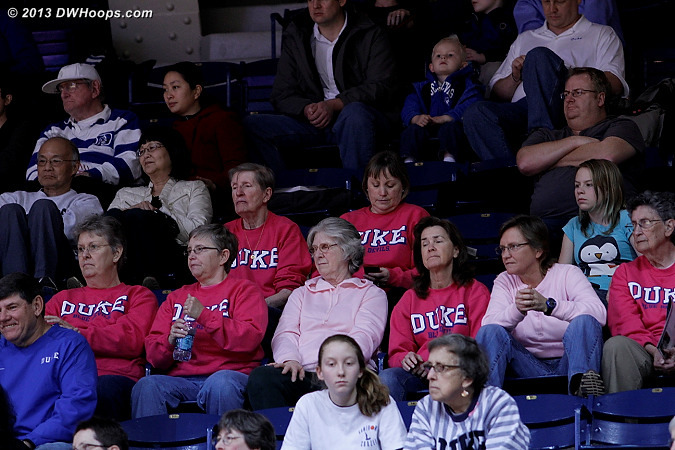 104 public photos, 106 more member-only photos, and one exciting basketball game - right here at DWHoops. 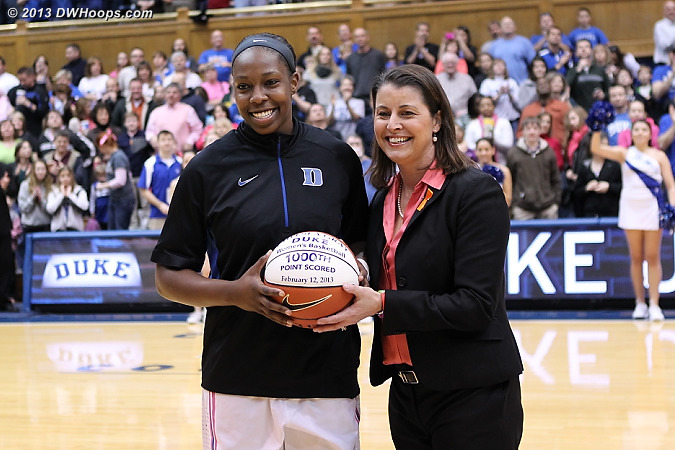 Chelsea Gray and Joanne P. McCallie pose at midcourt with a basketball awarded to Gray for scoring her 1000th career point at Duke. 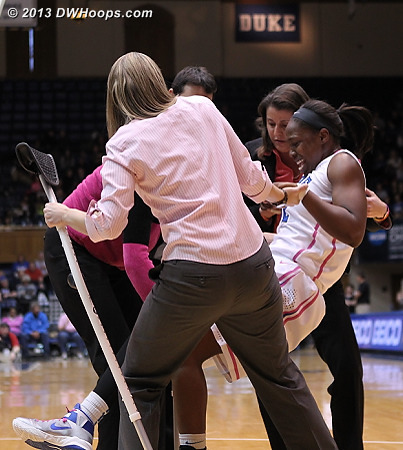 Gray would later leave the game with a dislocated knee, putting the rest of her season in doubt. 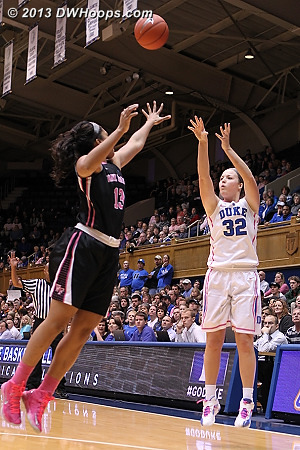 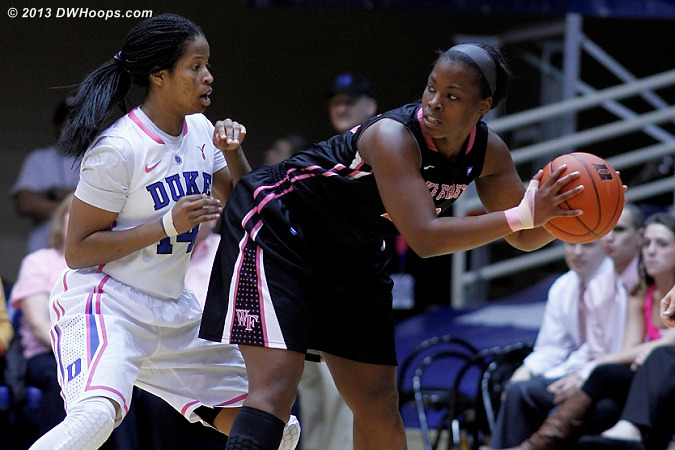 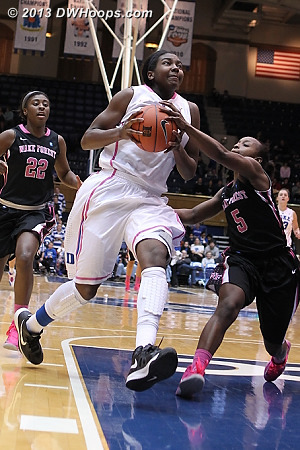 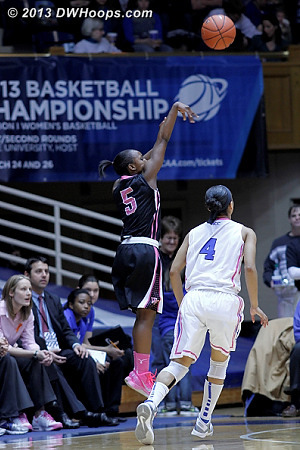 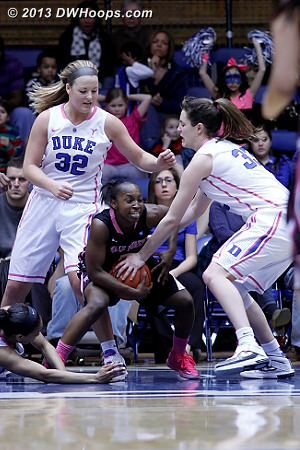 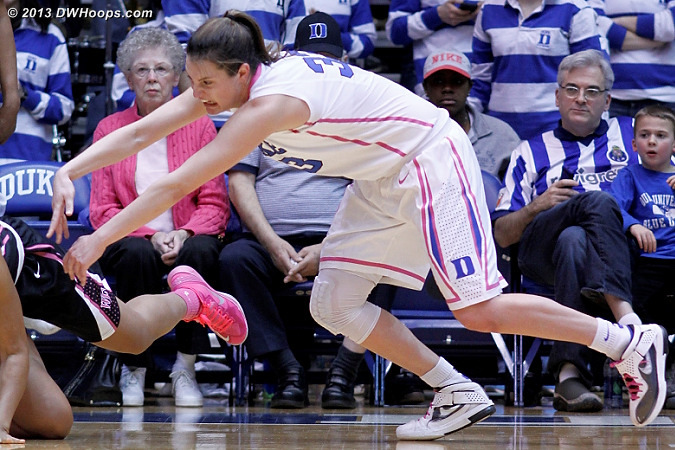 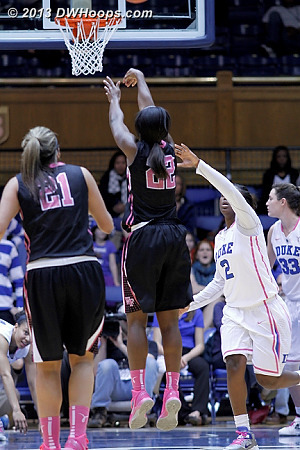 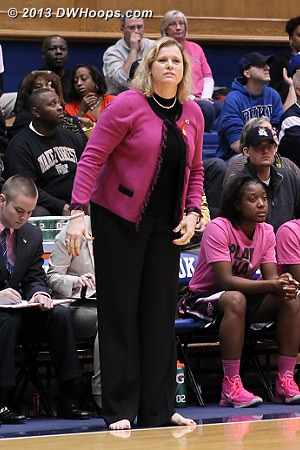 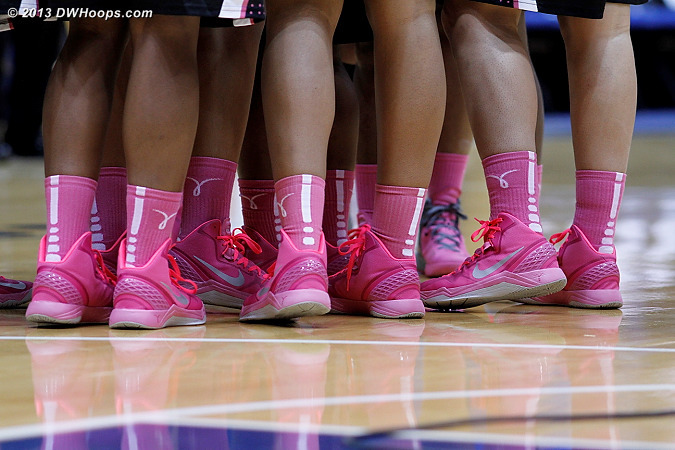 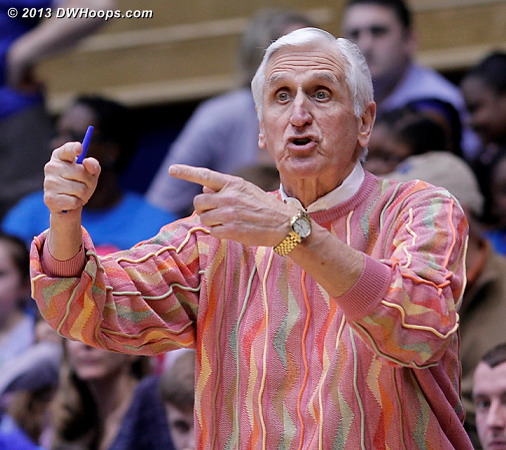 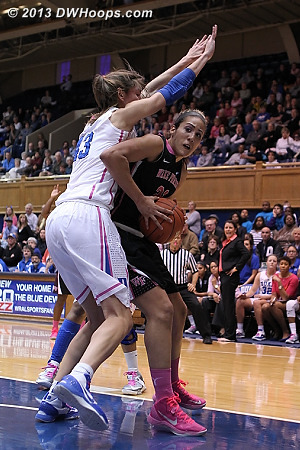 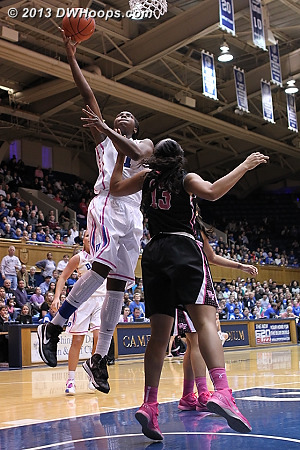 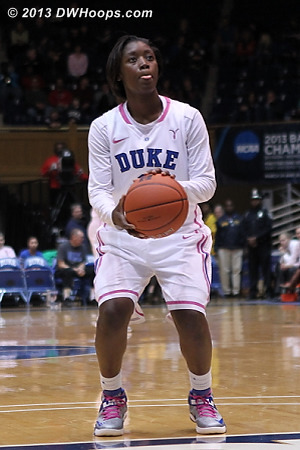 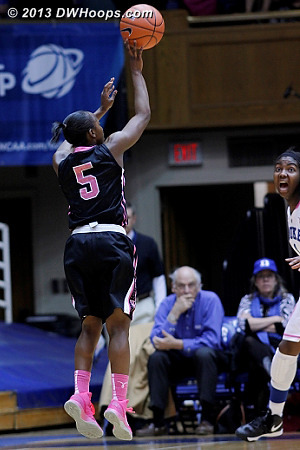 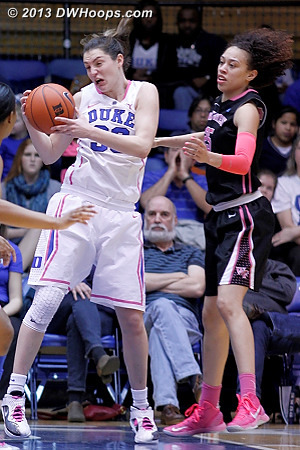 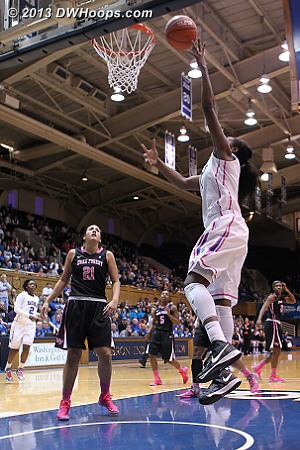 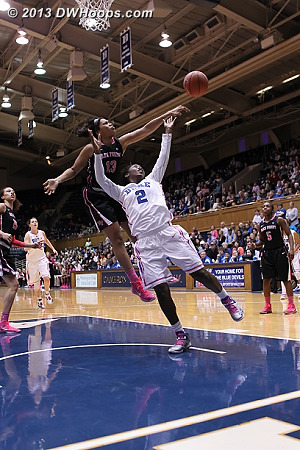 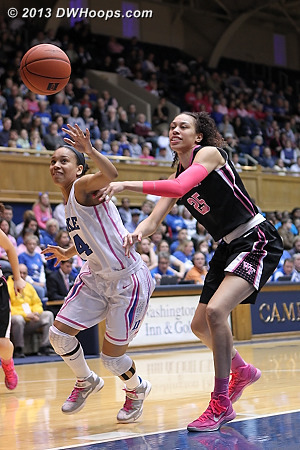 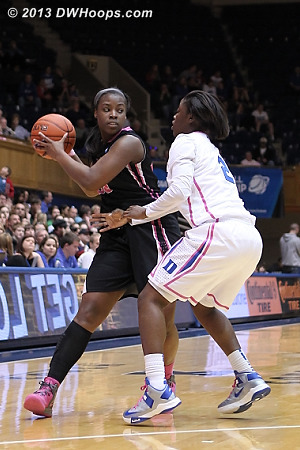 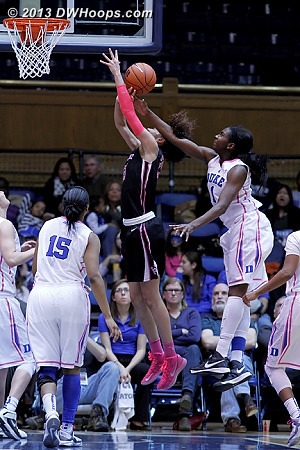 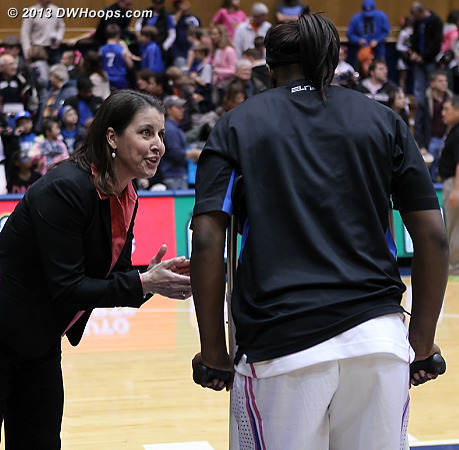 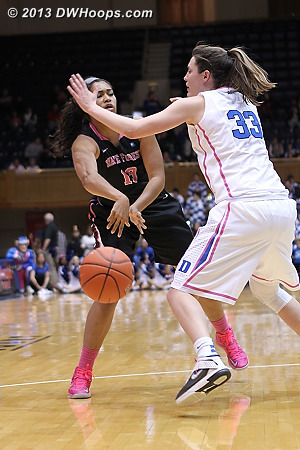 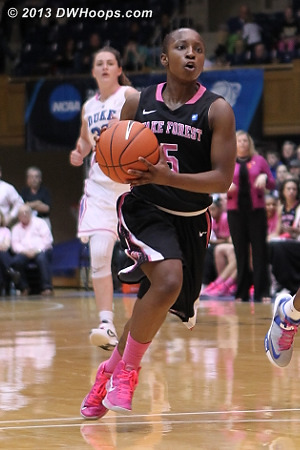 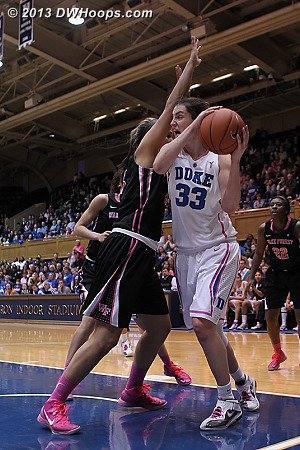 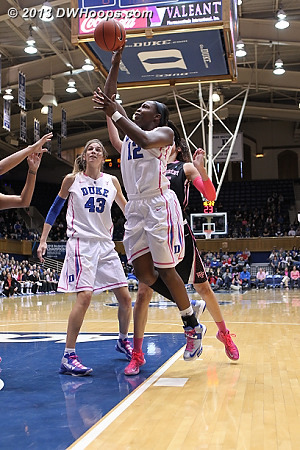 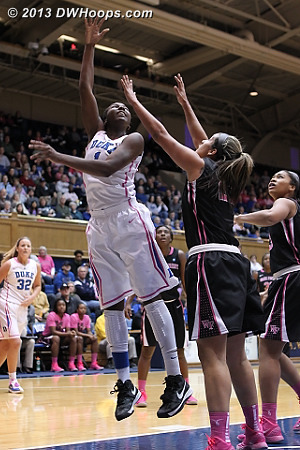 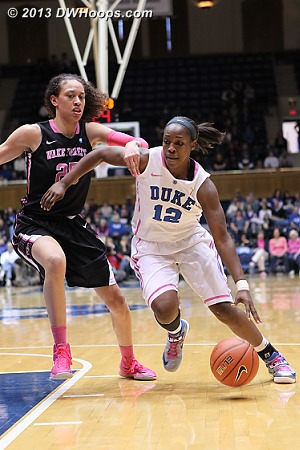 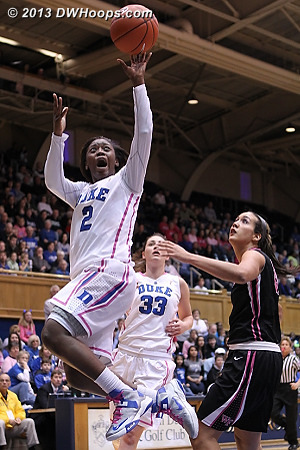 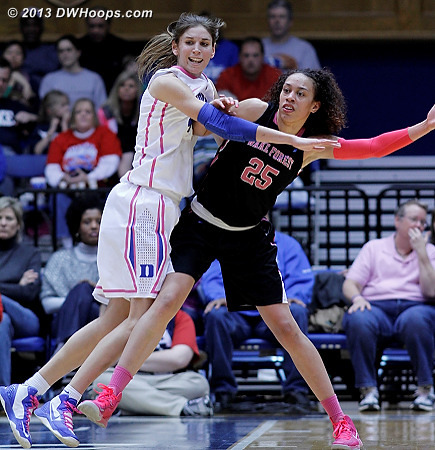 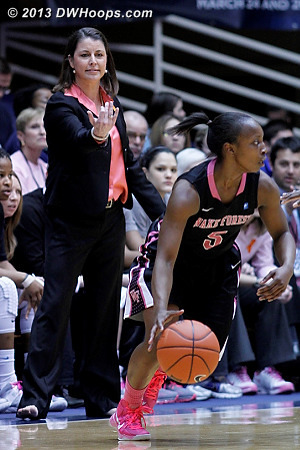 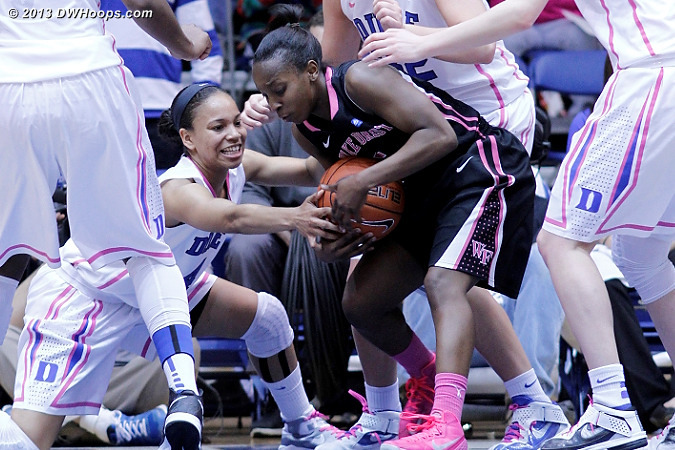 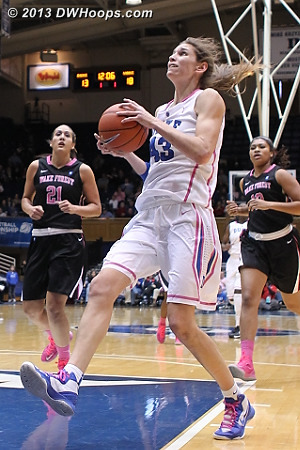 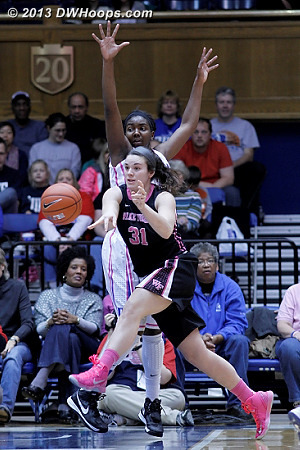 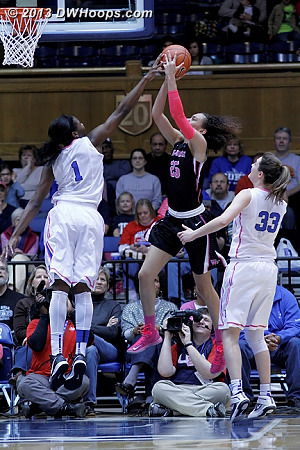 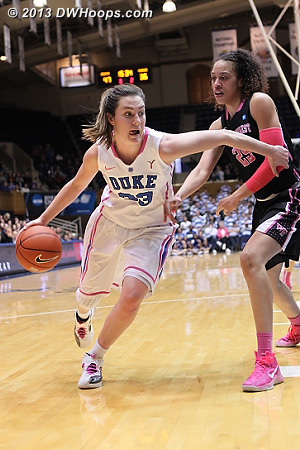 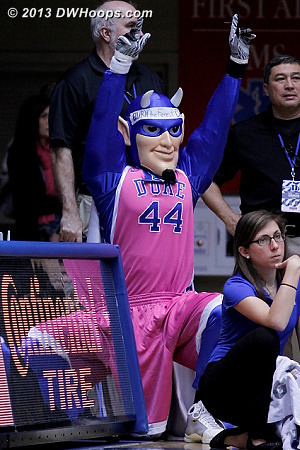 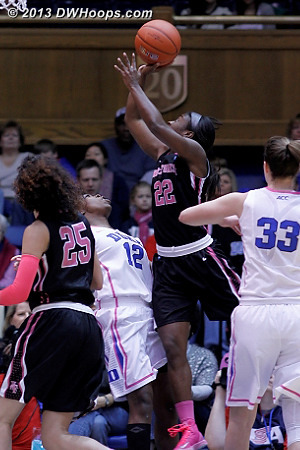 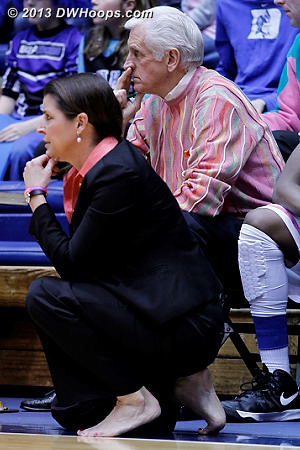 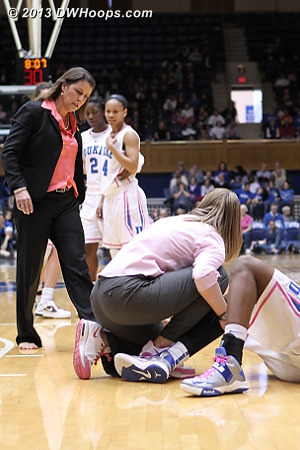 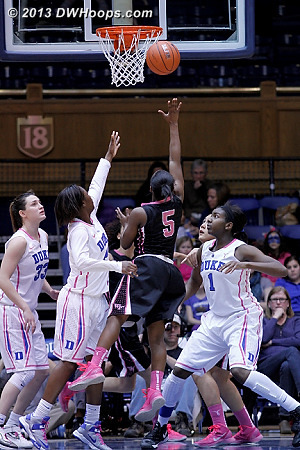 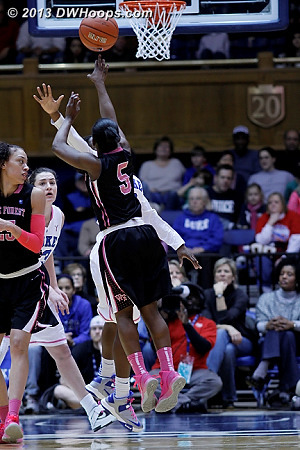 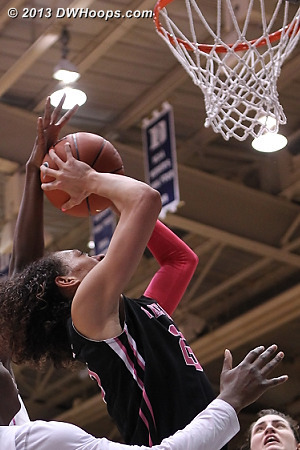 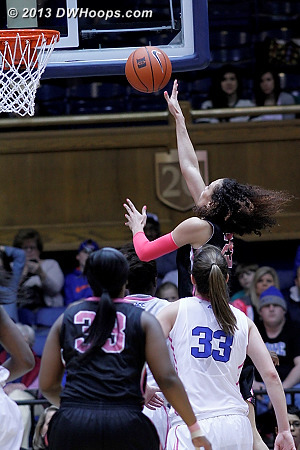 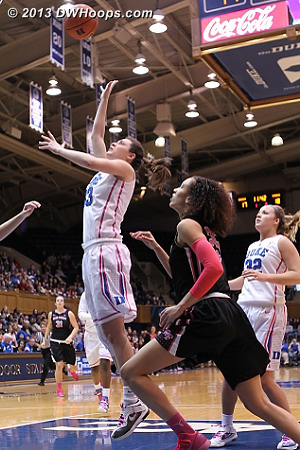 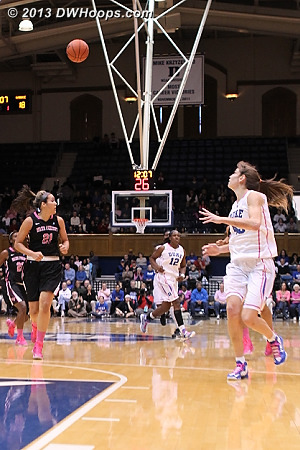 Wake Forest looked great in their Nike Kay Yow shoes and socks for the Play4Kay initiative. 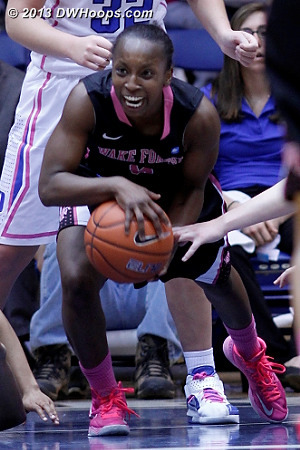 Despite Elizabeth Williams scary face, Chelsea Douglas puts Wake up by 11. 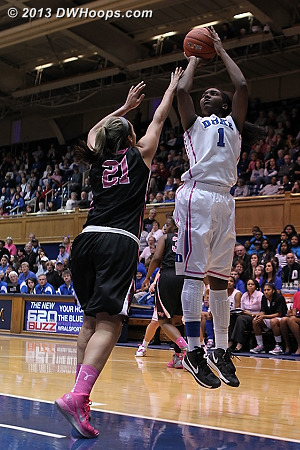 Duke again leaves the corner open, and Douglas hits her second three in two minutes. 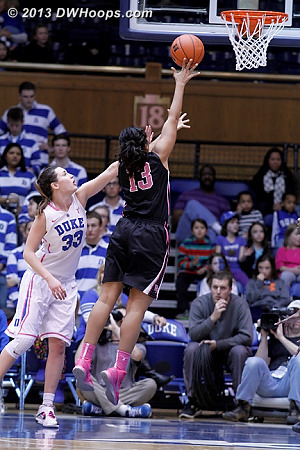 18-9 Deacs with 13:12 left in the half. 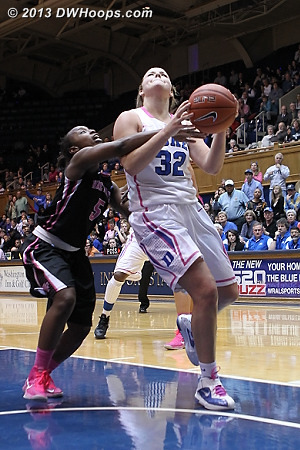 Haley Peters fouled in the act with 4 seconds left in the first half. 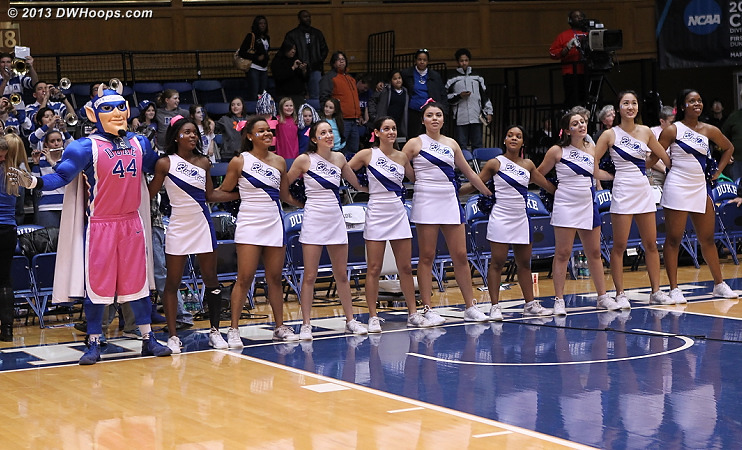 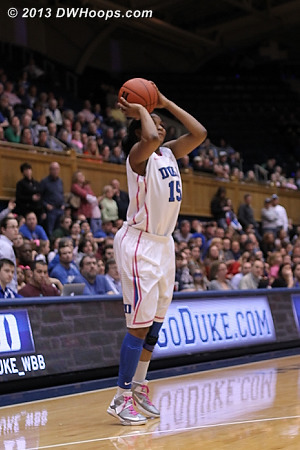 Free throws gave Duke 37-28 advantage at the break. 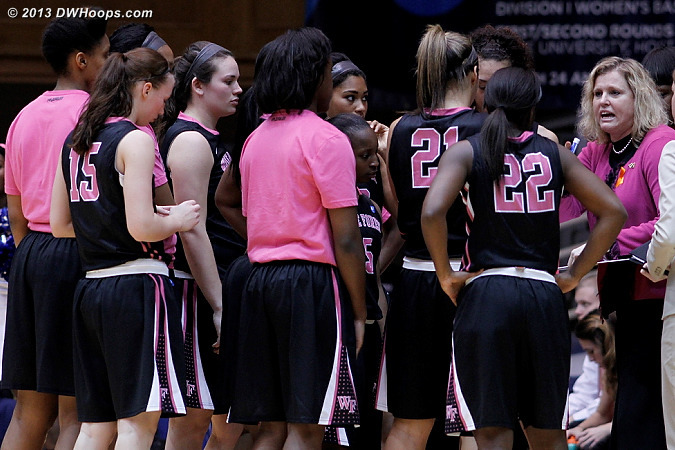 Wake Forest huddles at the start of the first half. 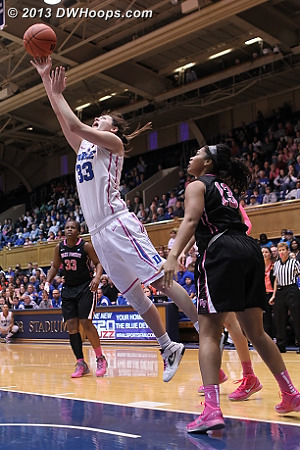 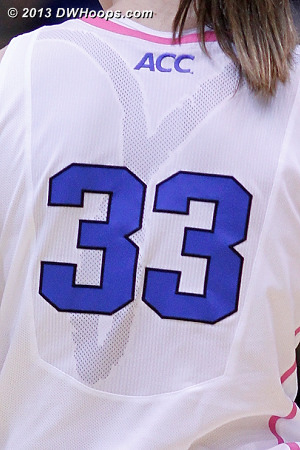 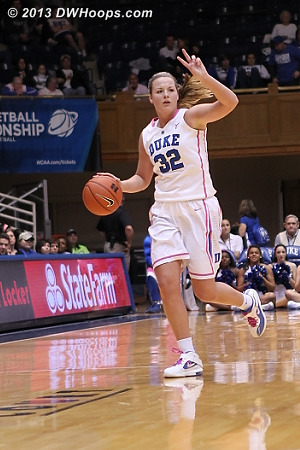 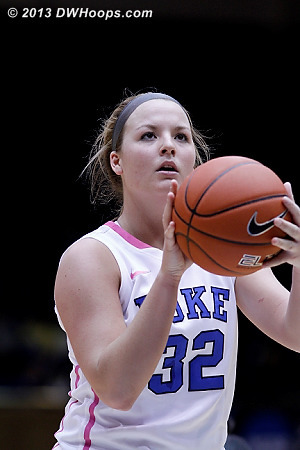 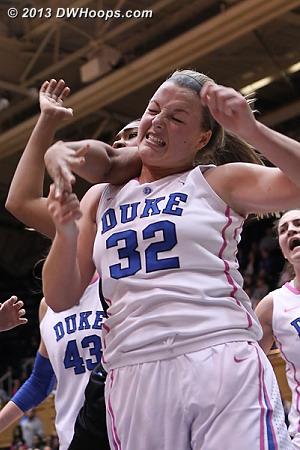 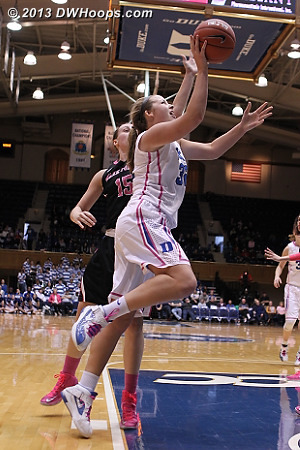 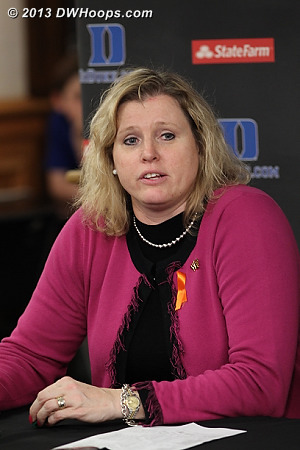 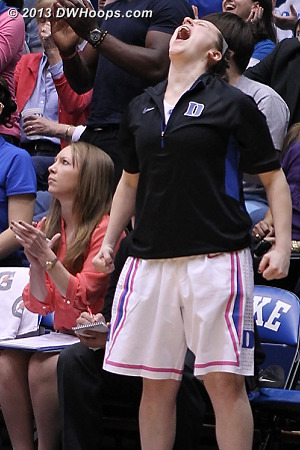 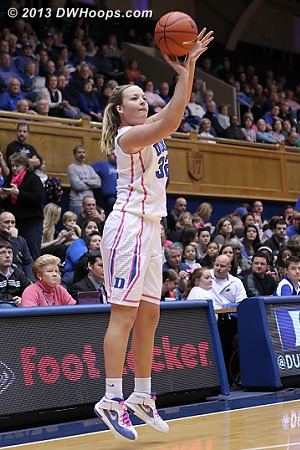 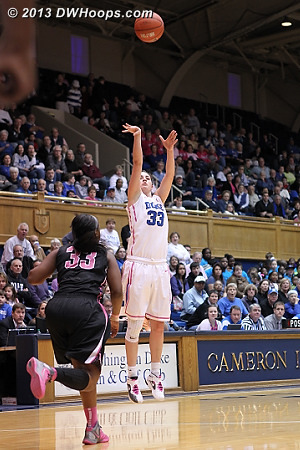 Tricia Liston hit a three to put Duke up 43-30. 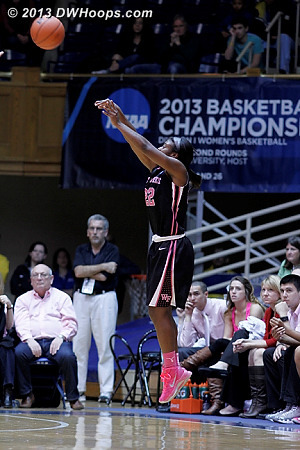 Liston lead all scorers with a career high 29, 21 in the second half. 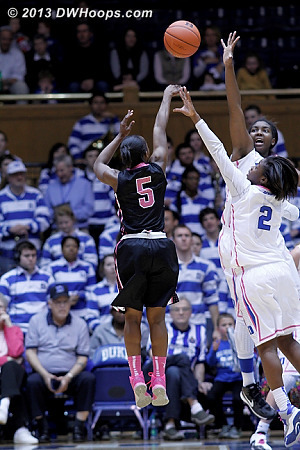 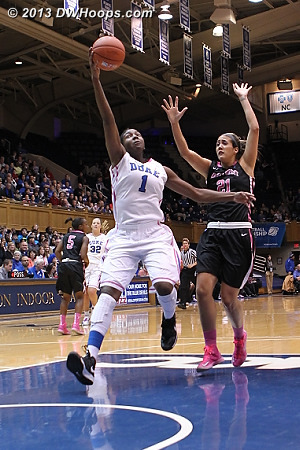 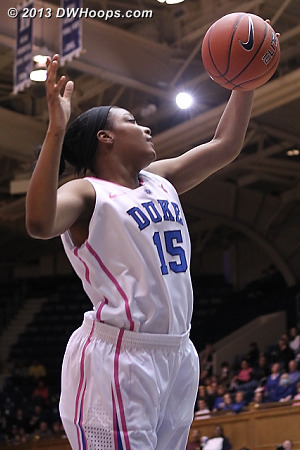 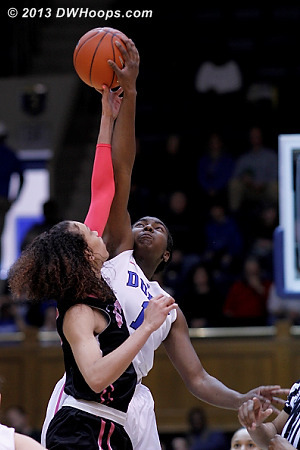 Duke loses Chelsea Douglas, who missed this three, but Wake would board for a tying three from Boykin. 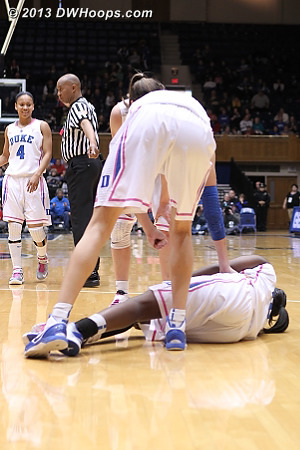 Garcia fouls Williams in the act. 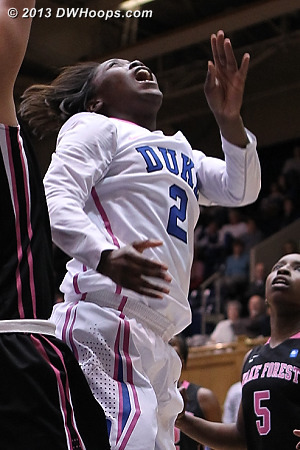 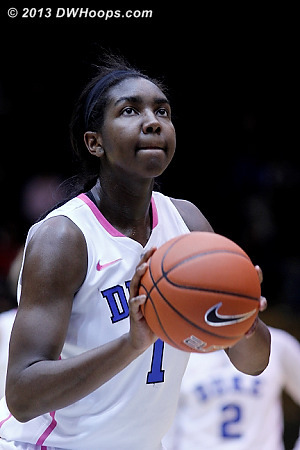 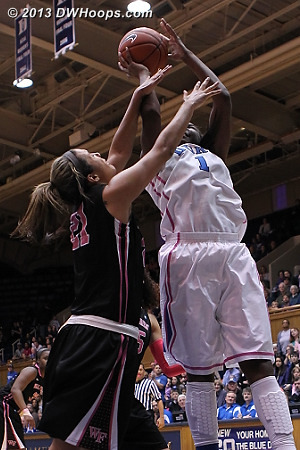 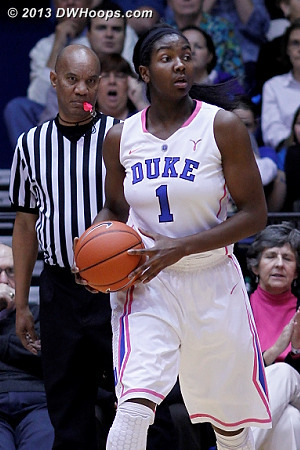 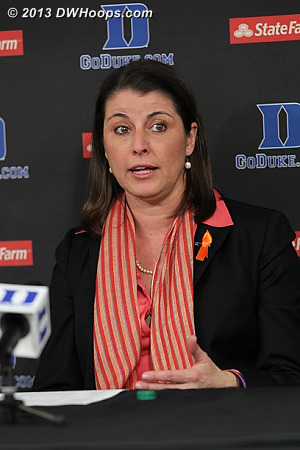 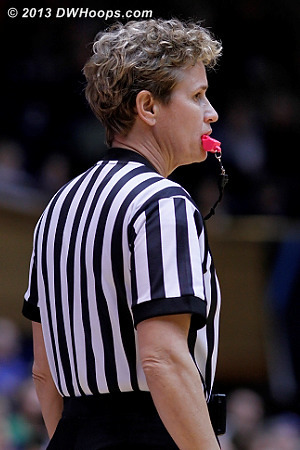 Liz would make 1-2, Duke leads 75-70. 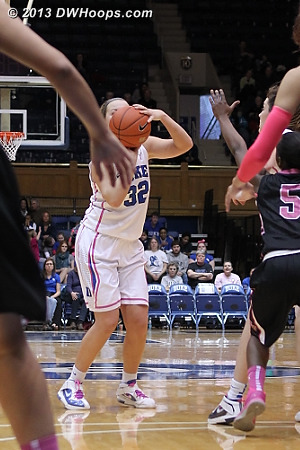 Alexis Jones and Tricia Liston combined for six free throws in the final minute as Duke blanked Wake, making a close battle look like something else on the scoreboard. 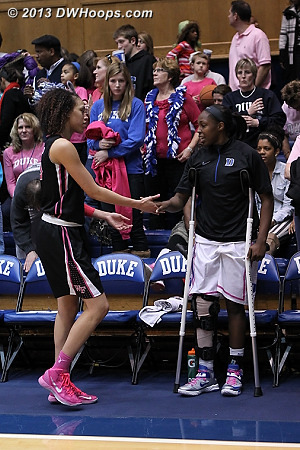 Duke wins 81-70, and in a nice display of sportsmanship, Dearica Hamby is first through the handshake line and finds Chelsea Gray on the Duke bench. 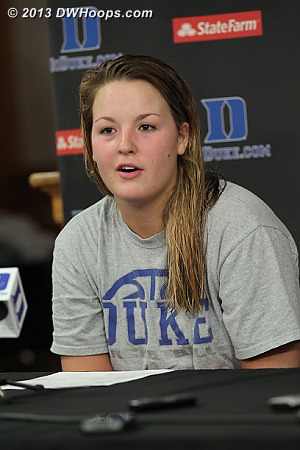 Chelsea Douglas: "We can score. 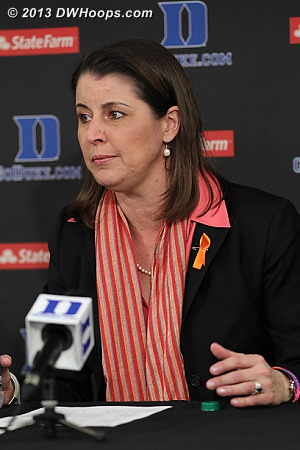 Our offense is not the problem. 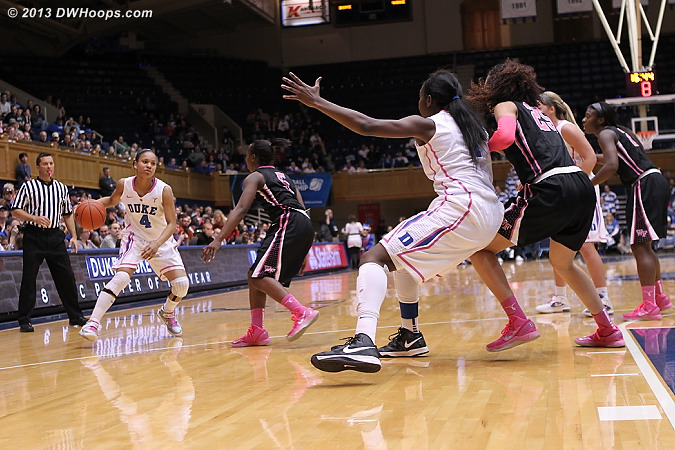 It is just that we are inconsistent on the defensive end." 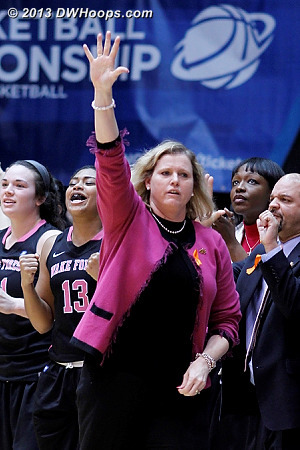 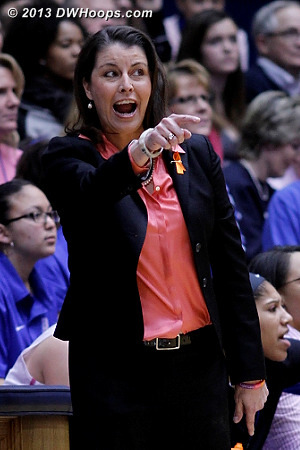 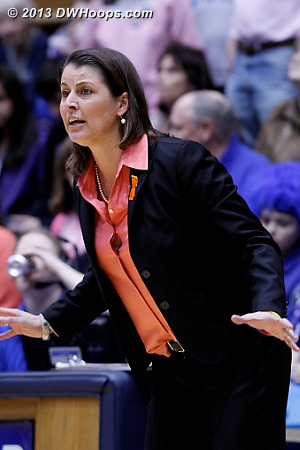 Jen Hoover: "I am so proud of this team today." 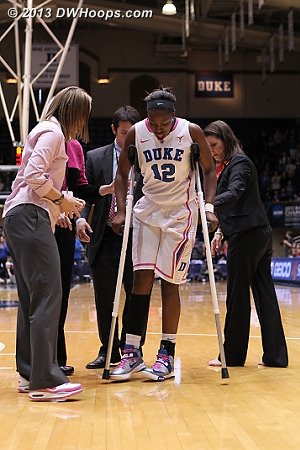 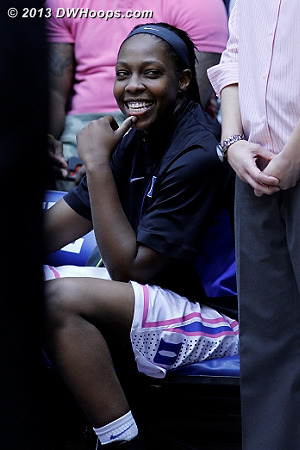 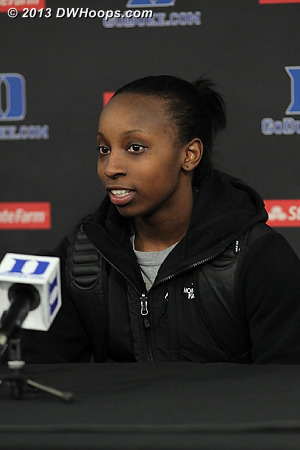 Coach P on Chelsea Gray's dislocated knee: "...team doctors can't see right now whether there is any ligament damage. 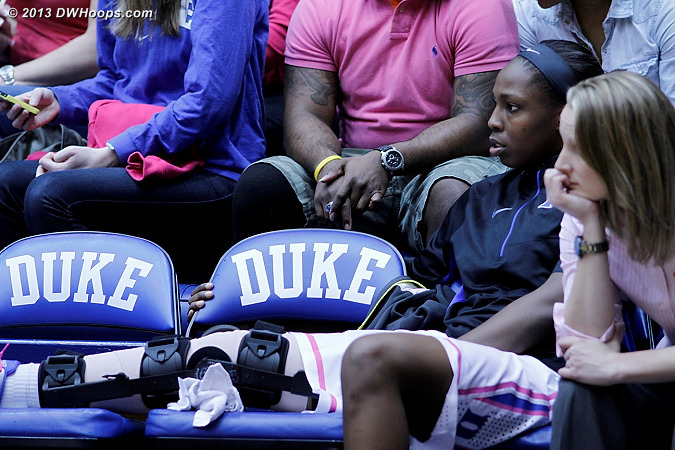 We do know she will be out for the regular season regardless of what the MRI shows." 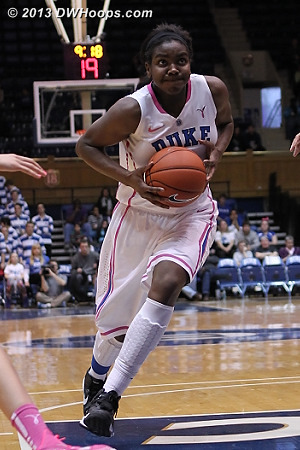 Elizabeth Williams: "Anyone can miss shots but defense is a mindset so I tried to get my hand on a lot of balls. 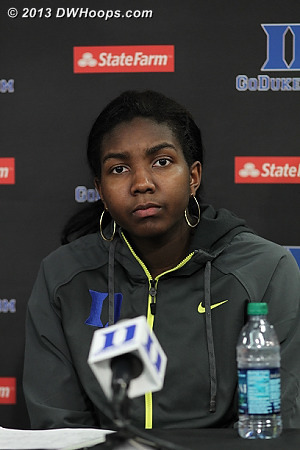 Offensively I would post up even harder and try to get to the boards." 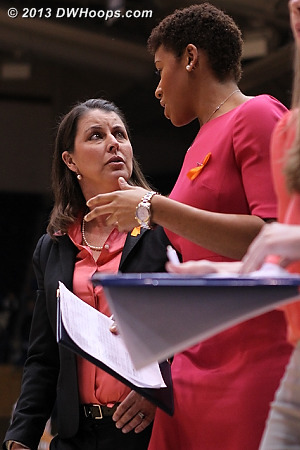 Coach P: "Tricia and Elizabeth were so critical for us by doing what they do and doing it with great confidence and poise in a tough situation. 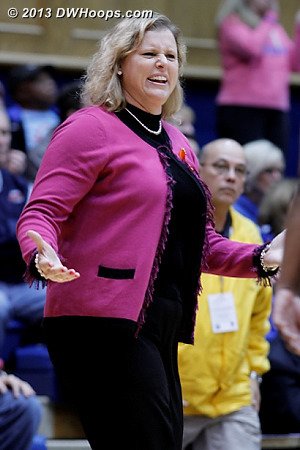 I think it was a huge test of our team's resilience and I think we passed it with flying colors"
Tricia Liston: "One thing I think we did well was we stayed in our heads. 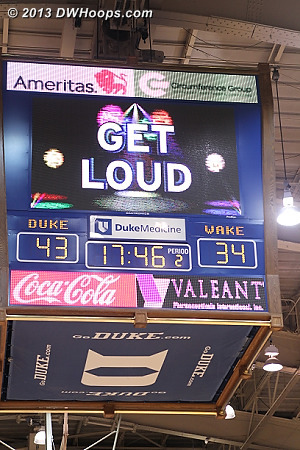 We didn't get out of ourselves. 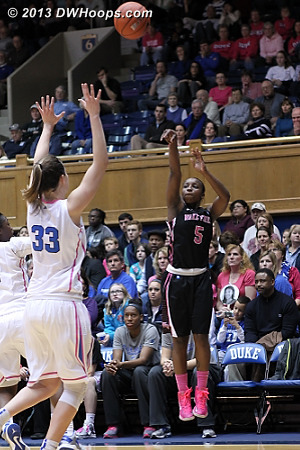 I think our execution down the stretch as well as our poise was really big for us."